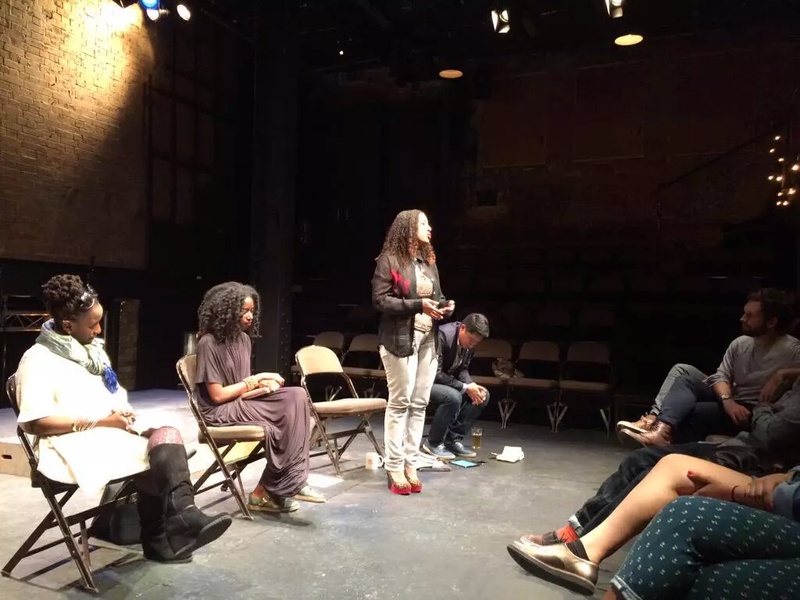 This was a panel talk featuring myself alongside Malika Booker, Kristiana Rae Colón and R. A. Villanueva. It was beautiful to take part. Octagon is an absolutely brilliant play. I left the Arcola theatre stunned into silence. Annoyed, even, by how good it was, because some creations are so well made that they make you wonder if you should quit. Even with many years of theatregoing and participating, I still don’t think I’ve seen anything quite like this. The play runs until October 17th. See it if you can. Otherwise, purchase the playbook from Bloomsbury Methuen Drama. Photo courtesy of Seraphima, via Twitter. Additional credit to Supporting Wall, who have been instrumental in pushing this play.